At Xcelliti, we offer you a competitive edge by providing 360° evaluation services and tailored quality solutions structured in such a way that will uncover system functional flaws, security risks and performance bottlenecks. Xcelliti is proud to have qualified Black, White and Grey hat testing professionals who are always be there to help in the time of need by offering their expert services to stay ahead of the risks & vulnerabilities associated with software. Many organizations believes system functioning as expected, is enough for its deployment. Their negligence to evaluate system behavior leads to most of the failures. A complete range of quality solutions and 360° evaluation services to address client’s need and challenges. Offering expert services in Secure Software Development Lifecycle, Vulnerability Assessment and Penetration testing. Comprehensive process consultancy, public and in-house training programs for effective “on the money” implementation and continual improvement. High quality, flexible, robust bespoke solutions that satisfy customers’ needs and assistance at every stage of the software development life cycle. Xcelliti provided our organization the professional experience that was necessary to create our brand globally. 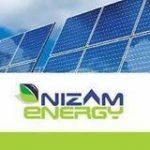 CTO - Nizam Energy Pvt. Ltd. The Xcelliti team provided training and support throughout the implementation to ensure a smooth transition to our software and new processes. Working with Xcelliti is a very good experience, the best part of Xcelliti is their focus on our core need, which enable us to reduce time and improve performance. We will definitely consider them on priority in future also whenever we need services / support in technical solution of their domain. At Xcelliti, We love to help you ! For queries and details, please fill out the form and our representative will reach you out in the shortest possible time.